This year Azerbaijan has come on stage before the world leading businesses and foreign countries in Davos as a state which managed to rationally use its oil and gas reserves for building a future without dependence on hydrocarbons. The small South-Caucasus state has proved to the world that despite no one believed in Azerbaijan’s ambitious transport and energy projects, the country was able to achieve the goals set. Azerbaijan, which is still on the way of getting rid of its oil-dependence, has reached significant results for a short period of time. The country is diversifying its economy through the development of the non-oil and transport sectors and aiming to become a gas supplier to European countries. Most of the successes come from the transport sphere, since Azerbaijan today positions itself as a transit country, as a hub which connects East and West, North and South. Davos forum is a perfect platform for establishing contacts with leading businesses and promoting Azerbaijan as a country with favorable investment climate. By tradition, President Ilham Aliyev again participated in the World Economic Forum, held meetings with the representatives of the world political and economic elite, expressing Azerbaijan’s readiness for cooperation. The holding of numerous fruitful meetings by President Aliyev in Davos is a consequence of interest in Azerbaijan, which is characterized by its stable economy, sustainable development and positive investment climate. Azerbaijan is represented at the forum as a rapidly developing part of the global economy, which testifies to the fact that the country is recognized in the world as a reliable partner. Within the visit, President Aliyev met with President of the World Economic Forum Borge Brende, President of Visa Inc. Ryan M. McInerney, Chief Executive Officer of BP Robert Dudley, Executive Vice President and Chief Sales and Marketing Officer of Cisco Gerri Elliott, Chief Executive Officer of SAP SE Bill McDermott, Chief Executive Officer of the World Bank Kristalina Georgieva, President of Russian company LUKOIL Vahid Alakbarov, Chief Executive Officer of French company Total Patrick Pouyanne and heads of other leading companies in Davos during his visit to Switzerland. International media outlets, which cover this forum every year, show more interest in Azerbaijan and they try to get more information about the country. Thus, it is not surprising that the Azerbaijani president gave interviews to the Russia 1 TV channel and the Chinese CGTN. The Forum sets new directions for the global economy and Azerbaijan is a part of this international elite with which many reckon today. The WEF is also interested in the participation of Azerbaijan as a significant regional and global player. The organization soberly assesses the authority of Azerbaijan as the leader in the South Caucasus and as the country, who achieved significant successes in implementing its large-scale projects affecting the geopolitical situation in the region. 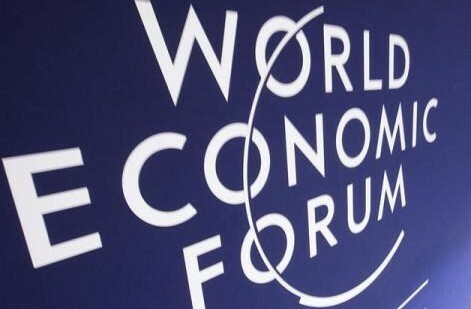 The participation in the World Economic Forum not only strengthens Azerbaijan's image on international arena, but also serves to create new opportunities for cooperation, economic development and attracting new investments.